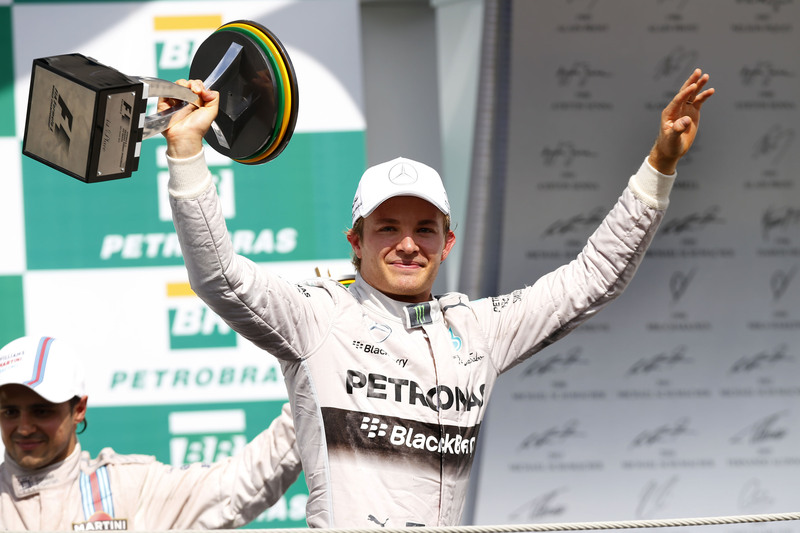 Rosberg pushed hard for the F1 title. © MERCEDES AMG PETRONAS Formula One Team. If nothing else, Nico Rosberg convincingly answered many of his critics through 2014. Those who claimed that the 29-year-old was not tough enough or decisive enough to be true championship material were made to eat their words – for the most part. Rosberg is tough and he is decisive – we have seen plenty of examples of this throughout his career – but whether German had enough to keep delivering over the course of a nineteen-race campaign was still questioned. Where Rosberg was uncompromising in qualifying in Monaco, he was beaten squarely on track by teammate and eventual champion Lewis Hamilton in Bahrain. Where he was dominant and defiant in Germany, he was clumsy when he clashed early with Hamilton in Spa-Francorchamps. He had certainly done an excellent job during the opening portion of the season. Three wins and five runner-up classifications in the eight Grand Prix kept Rosberg in good stead, until he finally suffered a mechanical failure while leading at Silverstone. There was a consummate victory at an under-attended Hockenheim in July, but from there on Rosberg’s campaign began to stutter somewhat. Although he still recovered to take 2nd in Belgium, Rosberg received a tough talking to from Mercedes bosses amidst the fall-out that appeared to leave him deflated. When the championship reconvened in Monza, the German seemed like a shadow of his former self and Hamilton twice forced an error from Rosberg – assuming the win in the process – it began a run of five consecutive victories for Hamilton that for all intents and purposes buried Rosberg’s championship chances. In this time, Rosberg still notched up a handsome batch of 2nd place finishes; however the real damage was inflicted when his W05 machine stalled on the line in Singapore. There was a brief, but spirited fight back to win the penultimate Grand Prix in Brazil, but with Hamilton on such fine form, it was going to be almost impossible to Rosberg to overturn the Briton’s points advantage, unless outside influences struck. That it was Rosberg who suffered an ERS failure in Abu Dhabi was almost typical of the nature of the latter third of the season. Irrespective, Rosberg fought a good fight and one can only hope that he can keep the momentum and aggression alive in 2015.